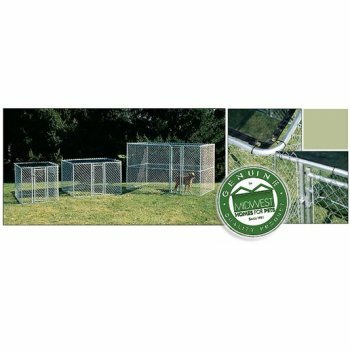 We are proud to present MidWest Homes for Pets' solutions for an affordable and appropriate cage for dogs or any other animals. K9 Kennel is a trusted product brought to you as a primary cage for consumers looking for better cages for their bigger dogs. 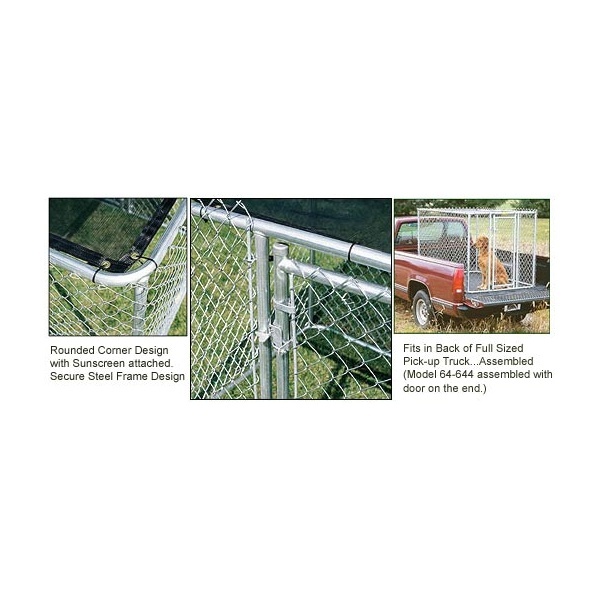 The cages are finished with a strong steel frame design and have a secure rounded corner. Several sizes are available and attached to it is the sunscreen for better sun protection for your dogs. 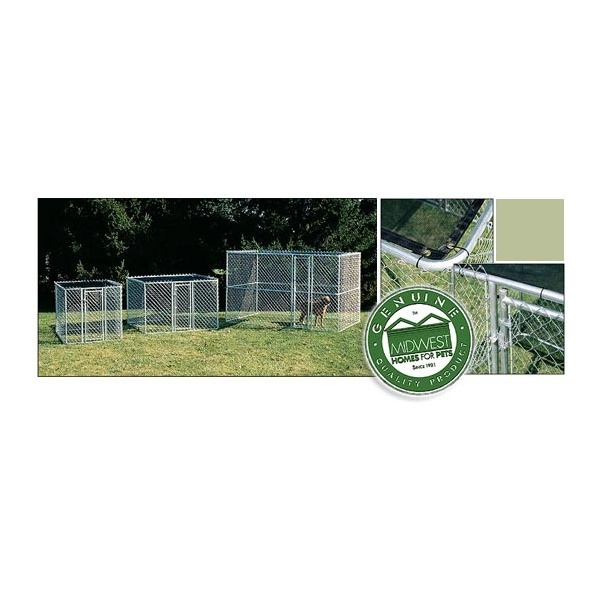 6'x6' Chain Link Portable Kennel - Includes a Sunscreen - Size: (6 L x 6 W x 4'H) - Weight:85 lbs. All Models Include Attractive Woven Polyethylene Sunscreen, that Provides 80% Sunblocking protection. Patented Design Features Rounded Corner Construction for Quick & Easy Set-UP – Eliminates the Need for tools and fixings. Model K9644 Provides Versatility of Positioning Door on Side or End. Secure, Convenient One-Hand Latch Operation Allows for Door to be Opened & Closed While Handling your pet. Complete Kennel in a single package.